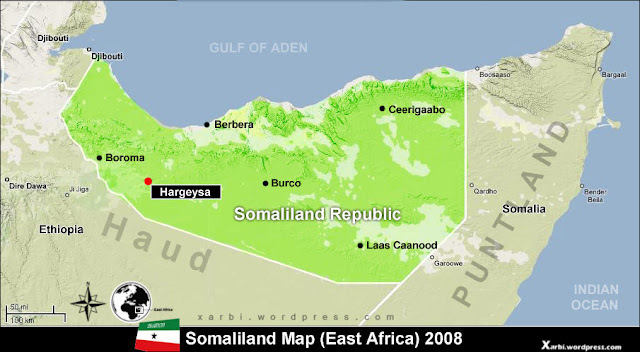 (Medeshi) - The Somaliland diaspora are accused by some of the Somaliland government officials of fuelling the conflict in Eil Afweyne of Sanaag region . The conflict has become recurrent in the last few years and has caused many deaths of innocent people on both sides. The diaspora are accused of sending money for ammunition , weapons and rations to the fighting parties. They are accused of inciting hatred and inciting conflict among the two sisterly sub-clans in the region. They are accused of taking sides instead of seeking conflict resolution. These two clans have lived side by side for centuries . They are intermarried and are frankly relatives. Mothers and fathers from both sides cry and mourn the deaths of their relatives when one person is killed from any side. These people are pastoralists and livestock herders. The main cause of the conflict is resource based such as fighting over water and grazing lands. The worst drought in many decades has mostly affected this region last year. This could happen again if rains fall late. We call upon the diaspora to stop sending money to either of this conflicting sides and to stop fuelling the conflict. We seek support for the interior minister of Somaliland, Mr. Mohamed Kahin who is currently in the region promoting peace among these clans. The people of Somaliland are tired of conflicts and civil wars. It was in 1991 when the country seceded from the brutal dictatorship of Siyad Bare of Somalia. It was in 1994 when the civil war in Burao area caused thousands of deaths . Let us promote peace in the region and concentrate on the other challenges that the country currently faces. Please heed our call and stop fuelling fat into the current burning situation in Eil Afweyn .